So, we trod gingerly down the 1 in 6 gradient to the station this morning, knees tender and complaining from the efforts of yesterday, and caught the 11.11 to Villach. There we changed to a Slovenian train to take us across the border, destination Lake Bled. 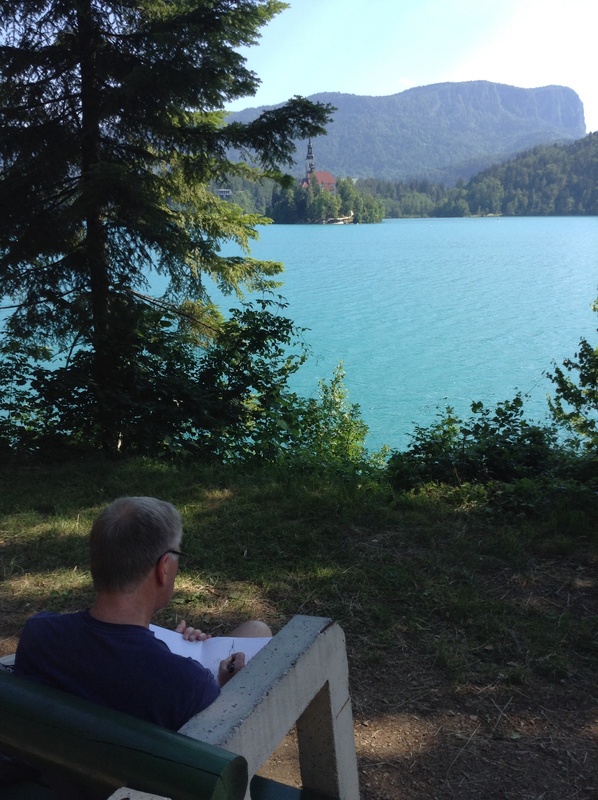 Hmmm – the lake is certainly a stunner – pure aquamarine like you see in postcards but never see for real. This is for real! (I’ll try to send a picture with this post.) There’s the hilltop castle and the island at one end of the lake with a very lovely slender-spired church, mountains in the background and fabulous trees…..but oh dear, Bled is being bled dry of its undoubted former charm. It’s becoming a fleshpot tourist destination and it’s full of English! We passed an amusing half hour spotting our compatriots in a bar by the lake. Not that we have anything against fhe English, of course, it’s just, well, some of them don’t travel very well….. The 6km circuit of the lake completed today, we’re heading back to the hills tomorrow, away from the crowds and the casinos. We’re staying out of town (thank goodness), no view of the lake but an eyeful of mountains and the sweet smell of hay. Yes, they’re haymaking here too!